We’re very happy to announce a new ARB member, the Peterloo Bookshop based in Sheffield, but trading primarily online. 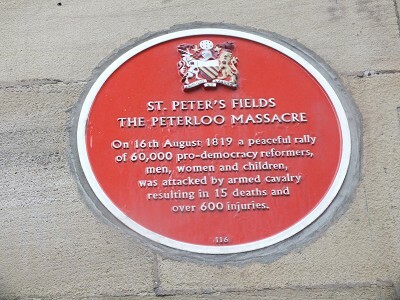 Peterloo Bookshop is a not-for-profit project set up by Chris Connolly to make important second-hand political books available as cheaply as possible. Not only are the books cheap but Peterloo offer a 50% rebate to anyone who sends the book back after reading it so it can be sold again. If you are in Sheffield and can collect the book rather than have it sent the prices are half price. A complete list of books and prices is available on www.peterloo.net. Do also get in touch with them if you have any books you would like to donate. This entry was posted on April 15, 2014. It was filed under ARB News.